Following on from the discussions pertaining to local government reform, the current position regarding the situation of Northamptonshire is that; Northamptonshire elections will be postponed with councillors continuing their position until May 2020; the seven districts/boroughs will be replaced with two Unitary Councils; and, if confirmed, a Unitary Authority will be in place by April 2020. Since my inauguration as Mayor in April of this year, I have spent the past eight months getting to know the people of this town a bit better. Daventry continues to be a great place to live, work and visit and I am reminded of that with each new community engagement I attend. 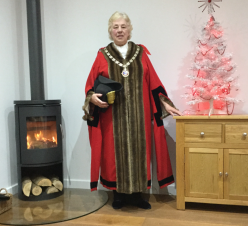 From a Christmas Market to Santa's Grotto, Daventry's town centre was filled with the magic of Christmas, on Saturday 8th December, as the first Winter Fayre took place in the town. 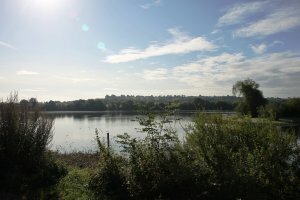 Daventry Town Council wishes to thank Sean Croke, DTC Ranger, for all his hard-work and dedication to the role as today he embarks on a new and exciting venture. Sean has been an asset to both the town and the team and will be sorely missed by all. Daventry Hub - the new youth club for young people, opened its doors on Friday 9th November 2018 for children aged 11 – 14 years old. 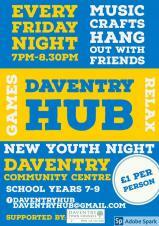 Run by a group of volunteers, the Hub meets every Friday night, at Daventry Community Centre, from 7pm – 8.30pm. Entry is £1 per person. Activities range from board games to cinema nights. 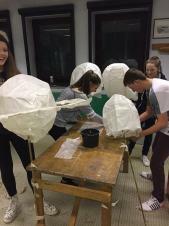 On Saturday 8th December 2018, as part of Daventry's Winter Fayre, the annual Lantern Parade will return to Daventry town centre. 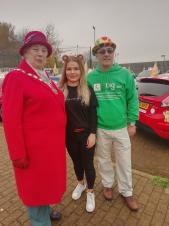 On Friday 16th November 2018, over 200 independent driving schools gathered at Daventry Football Club to complete the last leg of The Big Learner Relay, raising money for BBC Children in Need. Now in its fifth year, The Big Learner Relay started on 29th October where the first leg set off from Jersey Airport. On Sunday 11th November 2018, Graham Holloway (Parade Master), led the Daventry Remembrance Day Parade for the last time. Born in 1955, Graham moved to Daventry from Birmingham in 1967 and joined the Air Cadets at the tender age of 13 ½ years old, in 1968. 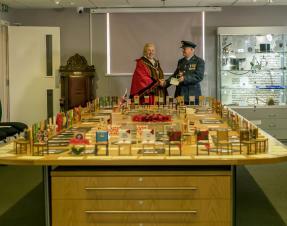 After 50 years in uniform, Graham has made the decision to pass the baton on to someone else. 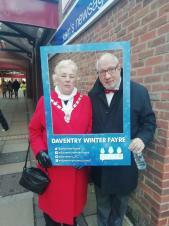 On Saturday 8th December 2018, Daventry Town will host its first Winter Fayre which will include a plethora of activities for the whole family to enjoy. 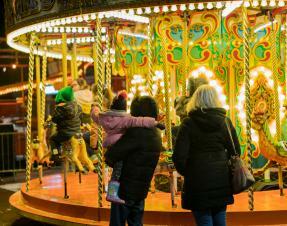 From carousel rides; Santa's Grotto; Donkey rides; lantern parade; Christmas Market; Christmas Tree Festival; Carol Service – you'll be hard pushed to find something you don't like at Daventry's Winter Fayre. 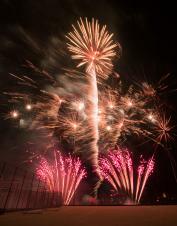 On Saturday 3rd November 2018, Daventry Town Council held its eighth annual Fireworks Display at The Parker E-ACT Academy where over five thousand people attended.